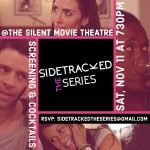 Join Cast and Crew of Sidetracked For Free Private Screening on November 11! Tickets are free but if you would like to donate while you are there, it would be fantastic! The cast and crew + cocktails will be on site. Adrienne says this has been a labor of love for all involved and they have donated their time and talents to a great show. They hope to raise enough funds to shoot the final 4 episodes that will complete Season 1. 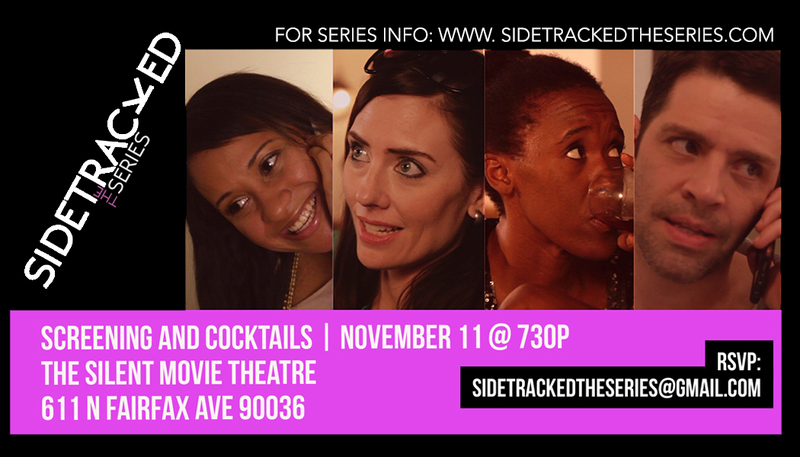 Also, anyone who can’t attend, is welcome to reach out via sidetrackedtheseries@gmail.com if you would like to donate funds to the project and the producer will connect with you personally.